My Alice’s Adventures in Wonderland decals arrived in the post today courtesy of Esty. Now to decide what to do with them. I am thinking of using them to decorate some bookends. 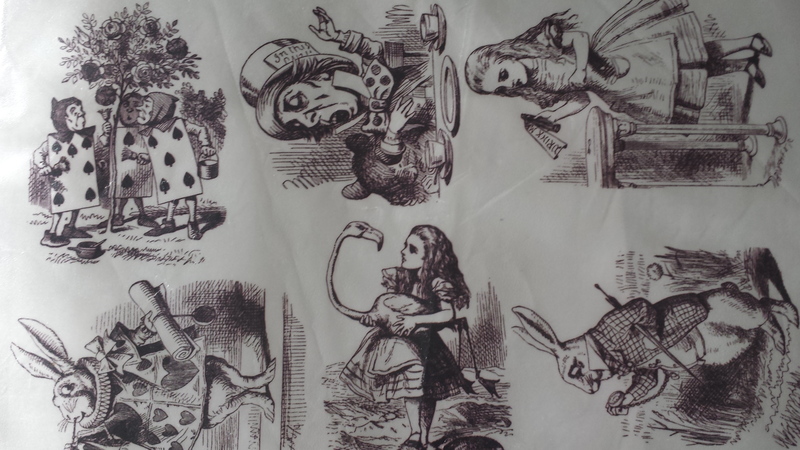 The pictures by Sir John Tenniel are classic and depict Lewis Carroll’s tale perfectly. 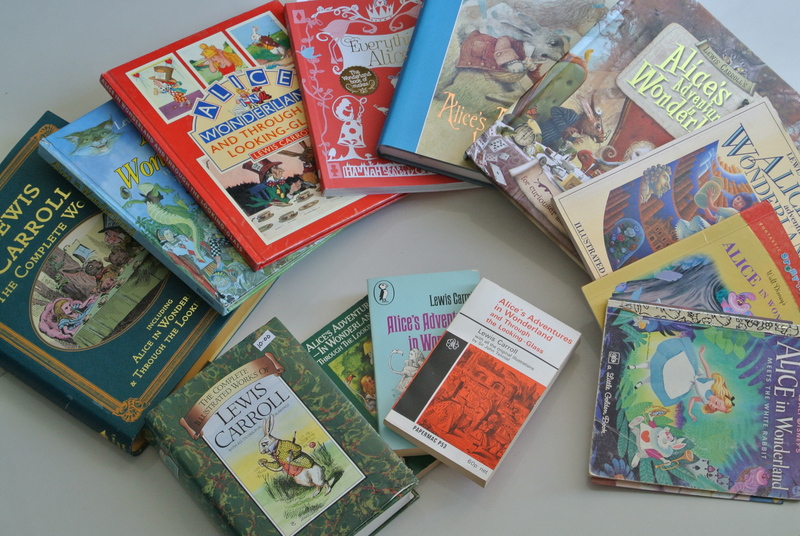 He drew over 90 illustrations for the Alice books! For some reason I cannot resist buying multiple copies of Alice‘s Adventures in Wonderland by Lewis Carroll. I have approximately 15 copies in my collection ranging from thick volumes to picture books. If I find a copy in a second hand shop I will buy it immediately. My rule for bookshops is that if it has a beautiful cover and it’s not too pricey I will make the purchase. I don’t know why I need so many copies of the book. Sure its one of my favourites stories but why do I need so many copies? I only actually read one of the books (the classic penguin) and my favourite is the very first one I got when I was nine years old. I think I like it the best because the Alice on the cover has brown hair and in a world of Alice’s with blond hair it was refreshing to see that this Alice had hair the colour of my own. My one bedroom apartment is not only housing my Alice collection but all my other books as well. The solution? I think I need a bigger place. Does any one else have a book collection?